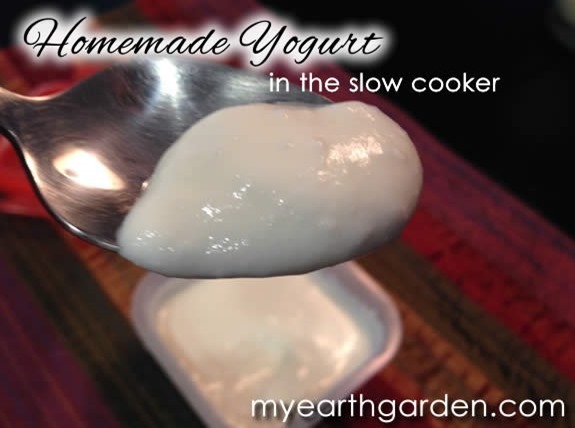 With just three ingredients and some careful observation, you can have homemade yogurt that will make you question why you ever bought it in the first place. How much do you pay for yogurt at the store? What if I told you I just made a gallon of yogurt for about three bucks? A trip to Aldi revealed milk being sold for $2.79/gallon. I had only planned to buy a half gallon, but I just couldn’t pass up the price. 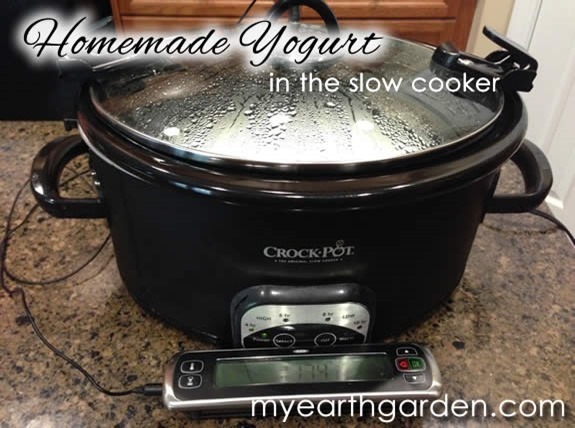 Pour a gallon of whole milk into your slow cooker, cover, and set heat to low. Insert a digital thermometer. Warm milk slowly until it reaches 185F degrees. In my slow cooker this takes about 5 hours. Remove crock from heat source and place in a sink of cold water. While waiting for milk to cool, add several inches of hot water to cooler. You will need enough water to come about 2/3 of the way up your jars. Alternate hot and cool water as needed to reach a temperature of 120F degrees. Monitor temperature as milk cools. 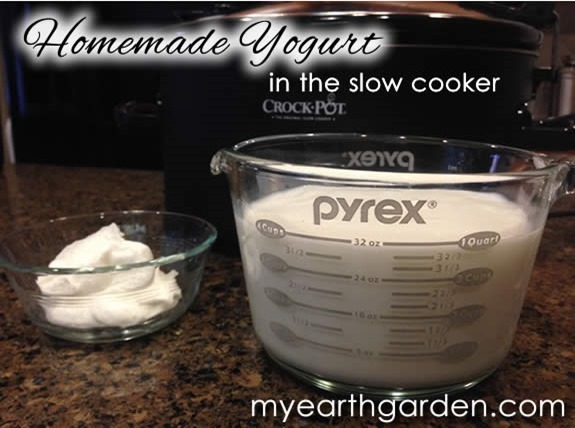 When it reaches 120 degrees, whisk in yogurt and powdered milk. 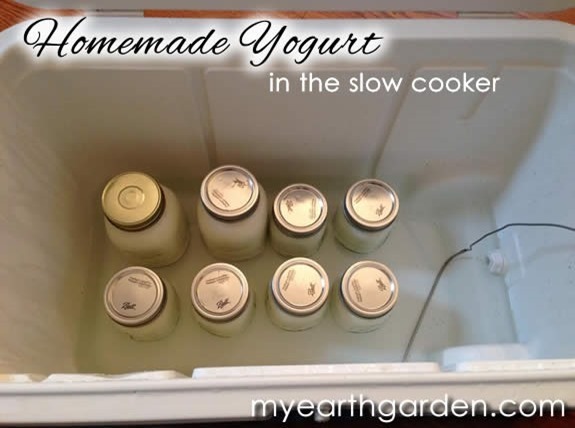 Carefully ladle warm yogurt into sanitized jars and secure the lids. Add jars to cooler and check the temperature, adding water as needed to reach 120F degrees. Close cooler and set a timer for 4 hours. When the time is up, remove jars from the cooler and refrigerate 6-8 hours until completely cool. TIP: To make a gallon of vanilla yogurt, whisk in 2 Tablespoons of vanilla extract and 1/2 to 1 cup of sugar or your preferred sweetener before. 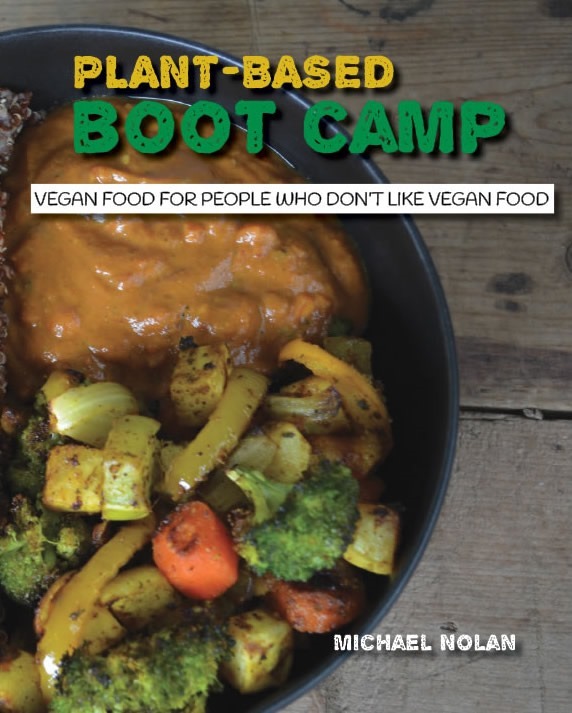 Next post: Should I Buy in Bulk?